Nine Elms, described by the former London Mayor Boris Johnson as “quite possibly the most important regeneration story in London, possibly in the UK, in the next 20 years”, encompasses a vast area, running from Lambeth Bridge, three kilometres down river to Chelsea Bridge, to the south and the reborn Battersea Power Station site. 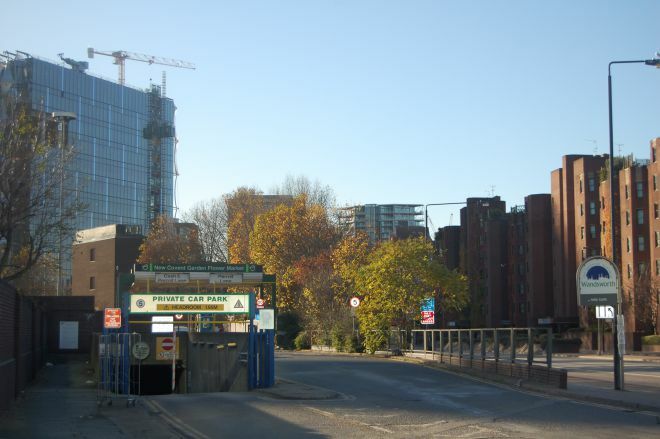 Nine Elms has existed as a settlement on the Thames for hundreds of years and derives its name from a row of trees that once bordered the main road. The most historic part is Vauxhall because of Vauxhall Gardens, the first and most significant of the true ‘pleasure gardens’ of Georgian London.The only remaining vestige of those heady days is Brunswick House, a Grade 11* listed building which still looms in isolated grandeur as you emerge from Vauxhall tube. Named after the Duke of Brunswick, who bought the house in 1811, the building later became a post office, then the headquarters of the Great Western Railway, a local working men’s club and finally a squat before being bought 15 years ago and resurrected by Ferrous Auger, founder of the architectural salvage and supply company, LASSCO. He also runs a restaurant and bar where customers wine and dine beneath a glittering array of antique chandeliers. If I get off at Vauxhall tube what else can I see? 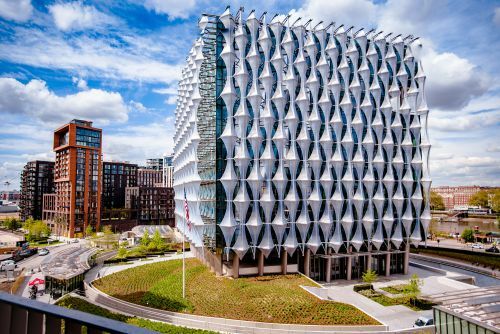 I’d start by walking along the river to Embassy Gardens from where you can see the new American Embassy, which is due to finish next spring. You’ll also walk past New Covent Garden Market that moved to the area in 1974 from Covent Garden and is also being redeveloped. A new Flower Market will open in February 2017 and the Fruit and Veg Market in 2020. The current entrance to the New Covent Garden Flower Market, which is being rehoused in a new building. 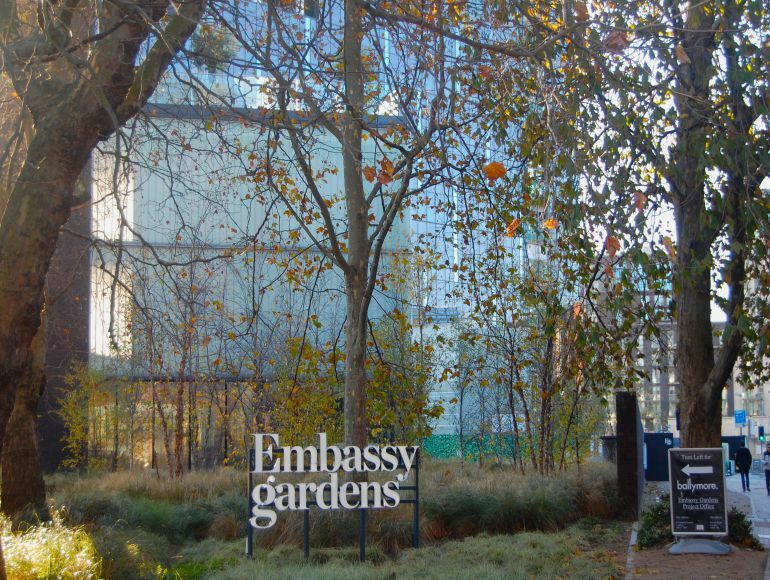 A key element of the Nine Elms master plan is the linear park, which runs the length of Embassy Gardens and ends at Battersea Park. 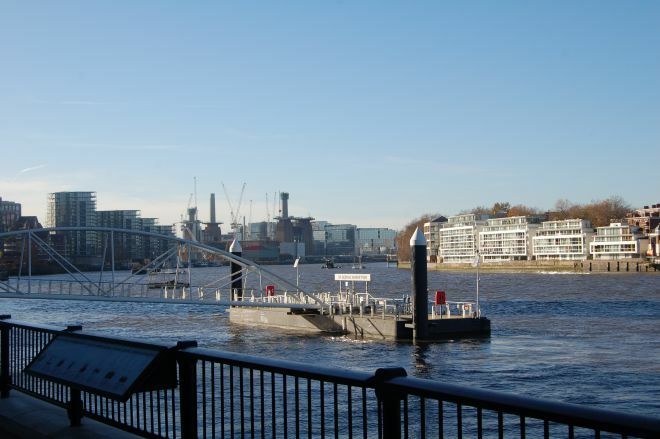 It will create green open spaces, gardens and walkways and of course, there’s the Thames itself. When the whole river path is opened up around Battersea Station, you’ll be able to walk from one end of Nine Elms to the other in 40 minutes. So the area is pretty much in a state of flux? Yes, that’s right. 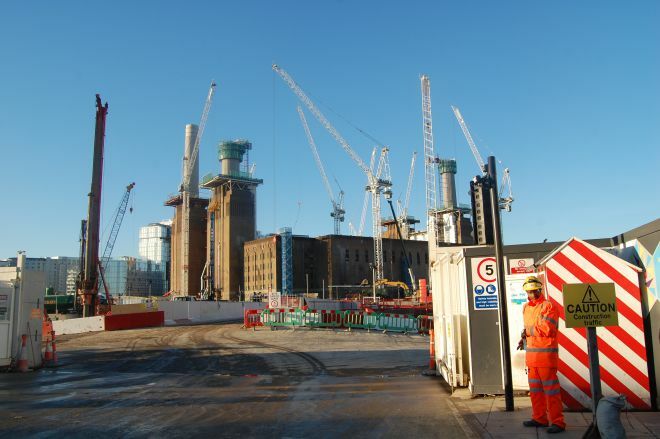 When people think of Nine Elms they think of cranes because there’s so much construction going on. This includes 20,000 new homes, two new tube stations at Battersea Power Station and Nine Elms on the Northern Line extension and possibly a new pedestrian and cycle bridge – fittingly on the site where the first bridge across the Thames was built 3,000 years ago. So all of what you see today, with a few exceptions is new? 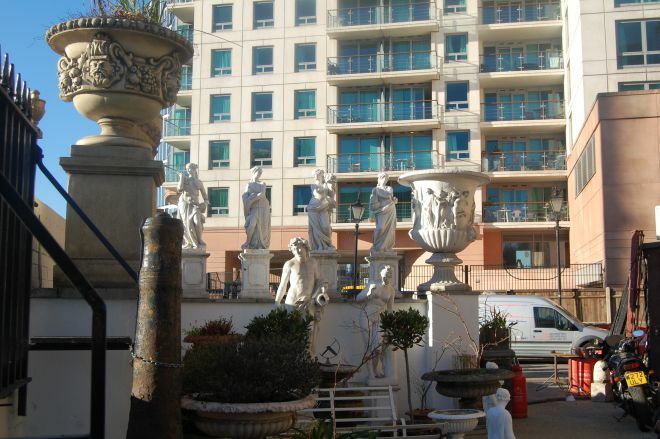 Yes, but big names pioneers are rediscovering Vauxhall’s Victorian backstreets. Most famous is British artist Damien Hirst, whose Newport Street Gallery occupies a former theatre carpentry and scenery painting workshops with an extension by architect Caruso St John. The gallery won the RIBA Stirling Prize for Britain’s best new building this year. In the same road there’s the Beaconsfield Gallery based in the former Ragged School and not far away there’s Gasworks that provides studio space for London-based artists and also has exhibitions. Are there any other cultural landmarks? It’s hard to beat Battersea Power Station – it’s one of London’s most famous landmarks – which will be Apple’s new home when 1,400 Apple employees move into the power station’s central boiler house in 2021. But there’s plenty else to see. One of my favourites is the old London Fire Brigade headquarters on the Albert Embankment built in 1935 and is now undergoing a multimillion-pound residential redevelopment, which will include a new brigade museum. We’ve talked a lot about buildings but does anyone live in Nine Elms? Of course and the number is growing every day! Embassy Gardens is a great example of the new communities slowly taking shape but a stone’s throw away is a small 100-strong community of artists, designers, filmmakers and writers living on a dozen or so houseboats and barges on the Tideway Village at Nine Elms Pier. 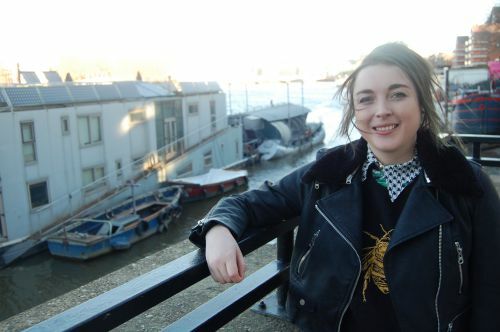 One of these is Sophie Dunster who remembers spending all her weekends as a child sanding and painting the boats when the area was an industrial wasteland, now runs her own fashion label Gung Ho from her studio in a steel container atop of the Pier. And what do people like Sophie think about the area’s transformation? Nine Elms, extending from Lambeth Bridge in the north to Chelsea Bridge in the south, is by far the largest riverside regeneration in London. And it’s an area full of interesting things to do and see from the new US Embassy to the one of the best coffee shops on the South Bank. 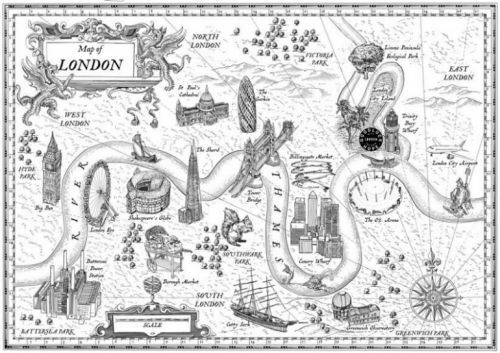 Encircled by water, Goodluck Hope is an area steeped in the history of London’s riverside and where the capital established its reputation as the world’s greatest trading hub. Today, it is about to be being transformed into a new neighbourhood by Ballymore.